Immediately after Samsung launched the Galaxy Note 4, many started to predict what new features will bring the successor, based on how fast the technology is evolving. For now, the headliners are the next Nexus device and Motorola’s new phones, which are expected to be released this summer, and in the first month of autumn we’ll most likely see the Note 5 released at the IFA expo which will be held in Berlin, Germany. So far, we’ve heard rumors that the phone might be unveiled at an event in New York, on August 13, and the arrival should happen on August 21. In any case, the launch is right around the corner and the phone will surely be impressive by all means. Samsung made some mistakes in the past by not focusing more on the design of its devices. They looked cheaper because of the polycarbonate material and the silver paint from the plastic frame was peeling off after a while and because it couldn’t be replaced, the users were stuck with their phones that way until they had enough money to buy a new model. There were two types of designs that were applied to Samsung’s handsets: the mid range phones came with glossy backs, while the more premium models featured faux leather covers, with fake stitching on the edges. There was another experiment with the Galaxy S5 which had a terrible dotted pattern that was criticized right from the first moment. Samsung didn’t stop at producing only the Galaxy S5 flagship with perforated dots, as there were also tablets featuring this design as well. Then, in 2015 came the change. The Galaxy S6 was thinner, lighter and super cool, because of the glass back that gave it a premium look. The glass panel is expected to be added to the Note 5, and we consider this a wise move from Samsung, although there were some users who had some objections about the durability of the glass, which seems to easily crack if the phone is dropped from a high distance. However, glass is nicer than faux leather, especially if it’s combined with a metallic frame. According to rumors, Samsung doesn’t want to change anything about the screen of the upcoming Note 5. Its size will be kept at 5.7inches, the resolution will be QHD (2560 x 1440pixels), but in the best case, the pixel density will be increased. The Super AMOLED technology produces vibrant and accurate colors and the viewing angles, contrast and brightness levels are perfectly adjusted to offer a great user experience. Qualcomm is history! Long live Samsung’s Exynos processors which become more powerful from a generation to another. The Note 4 came in two variants: one that was powered by a quad core Snapdragon 805 processor, while the other had an octa core Exynos 5433 processor and the tests revealed that Qualcomm processor tends to overheat, affecting the performance of the device. That’s why Samsung decided to improve its own line of Exynos processors and this year, the 64bit Exynos 7420 built on 14nm FinFet production processes made a good impression. The whispers are saying that the Note 5 will benefit from the next Exynos 7422 PoP chipset, an all-in-one-solution that will contain all three important hardware components: the processor, the graphics and the RAM. 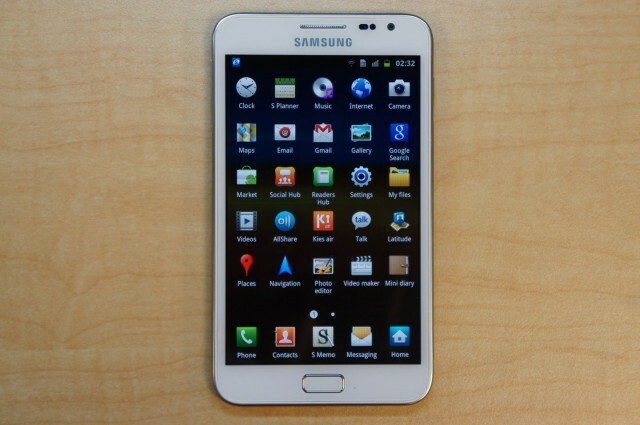 There is also a report according to which Samsung is already testing the Exynos 7430 chip with 4GB of RAM. The Note 4 was equipped with a removable battery of 3220mAh which, according to GSMArena, it lasts 20 hours when calling over 3G networks. However, the phone has a Ultra Power Saving mode which extends the battery life by turning the screen black and white and by closing unnecessary applications. The Galaxy S6 proved to have a long battery life, and one of the reasons is the battery-friendly processor, so we should expect a similar performance on the Note 5. The Galaxy Note line of phablets are inseparable from the S Pen stylus, which can be used for taking notes on the device’s screen, but there are many things this tool can do. Samsung shook hands with Wakom to produce capacitive styluses for its phablets, and the sensitivity of the Note 4’s pen has been doubled, to over 2000+ levels, so you will be satisfied with how it works. When the S Pen is removed from its dock, you will launch the Air Command menu and you will have access to these features: Action Memo, Scrapbooker, Screen Write, S Finder and Pen Window. Without a doubt, your experience with this tool will get better, as Wacom will improve its sensitivity and we’re hoping to see more features. 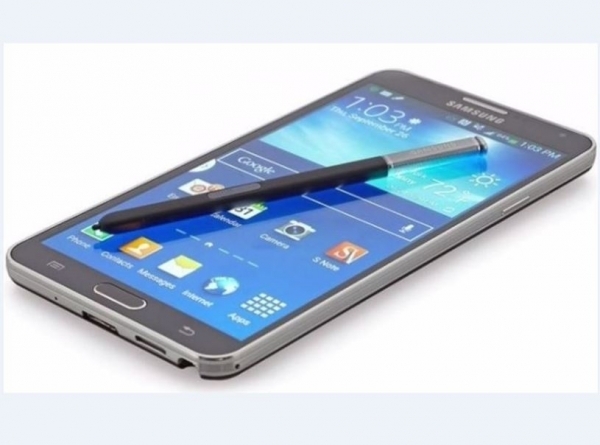 According to SamMobile, the stylus will act like a genuine pen and it will pop out based on an auto-release mechanism.